At light in Sonoran Desert Scrub habitat, 15 km s of Aguila, Maricopa Co., Arizona. large irrigation canal. 18 March 2017. 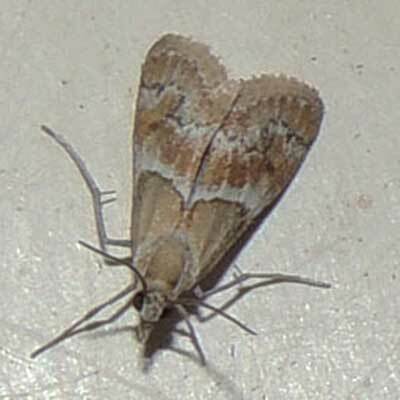 Given that a number of these small moths came to light in an area south of Aguila means that a suitable host plant for the larval stage grows in the area. Apparently there is just one generation per year meaning that for most of the year there is a resting stage - probably a larva or pupa - that remains concealed and protected from intense summer heat inside plant tissue or the soil in a state of suspended activity called estivation.